First what an incredible little cabin. 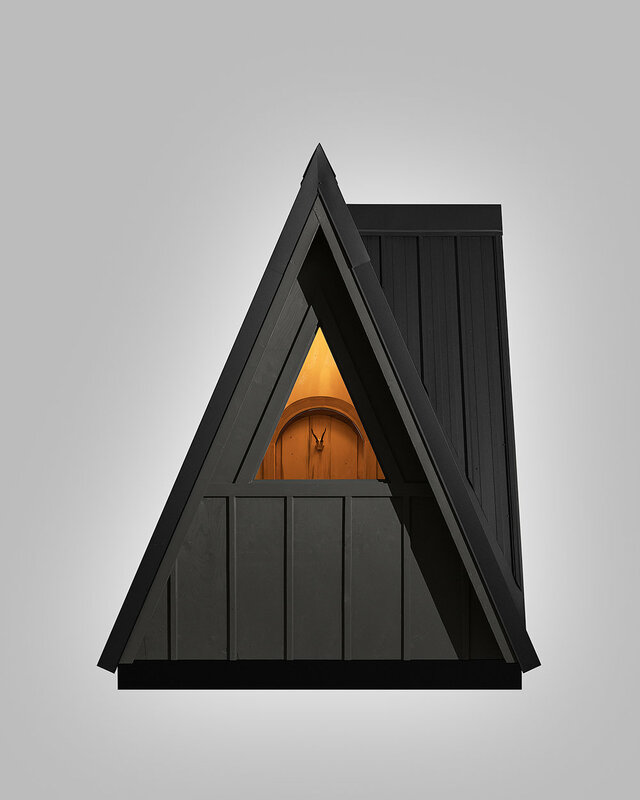 It may be tiny, but the high pitched roof, and the colors make it feel comfortably spacious, really! I’ve fallen in love with the angles. As an architecture photographer it’s always about getting those vertical lines perfect and straight. However, this is the exception, honestly it made getting things framed up for the shot a little difficult. While it may appear small, it really doesn’t feel it. The black, exposed framing really makes the interior pop. I could see myself sitting at the large triangle window behind a desk editing my photos. Yes, even the door is a custom, arched, door, which is solid minus two core areas for the purpose of giving the door an insulation value as wood has no “R” value. 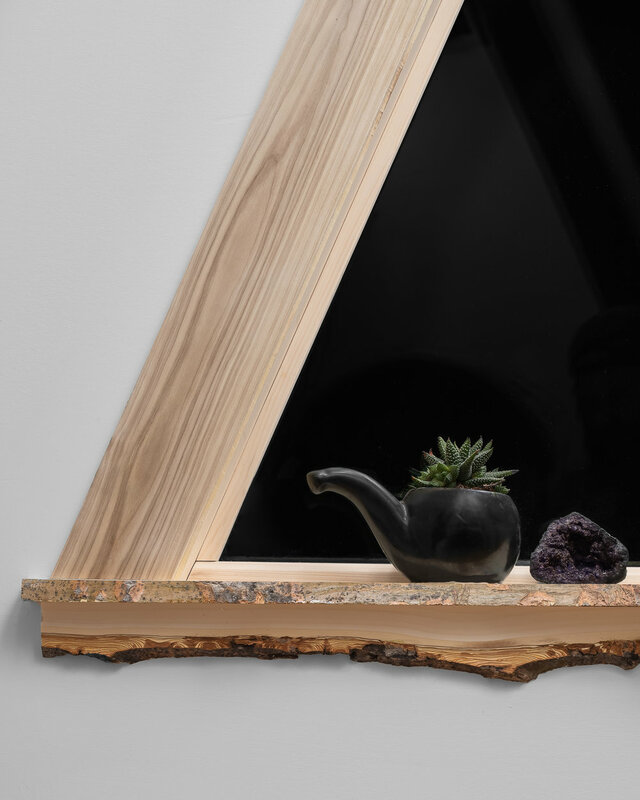 The large, triangle shaped windows are cased in live edge cottonwood. I shot this at night time to really show off some contrast with the angle of the window. I backlit the scene outside to give pleasant rim lighting.